STURGIS, S.D. - Sturgis opened their 2017-2018 wrestling season with a dominating 78-6 victory over Belle Fourche Thursday night. The only losing match for Sturgis was the opening 106-pound battle between Oakley Blakeman of Belle Fourche and Steven Permann. Blakeman won by fall at 4:44. Sturgis cruised the rest of the way. Evan Osborn pinned Jett Blakeman at 113, and Zaven Osborne won by pin over Hunter Quenzer. The Scoopers continued to dominate with wins by Brett Konst at 132, Carl Nash at 138, Wren Jacobs at 145, Bailey Brengle at 152, Jaren Puhlman at 160 and Kody Cox at 182. The Scoopers won the rest of the weight classes via forfeit. 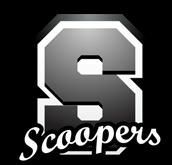 The Scoopers travel to Mandan, North Dakota Friday to take part in the annual Mandan Invitational.